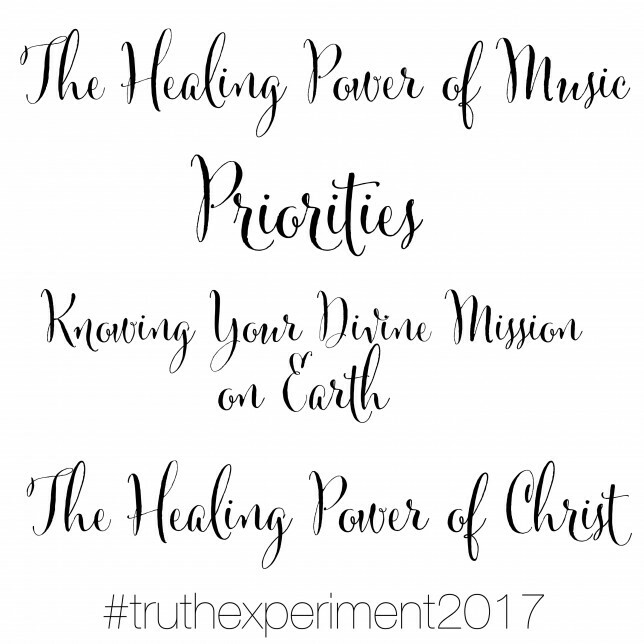 “Music can [promote] healing on all levels—physical, mental, emotional, and spiritual. Music and healing is being studied and implemented more and more among medicinal and therapeutic practices. “Did you know that certain forms of music can help you tap into your own innate ability to heal your heart? It’s for this reason that many healthcare practitioners, have begun turning to the power of music. Increasingly, they have come to believe that the melody, pitch, timing and beat of music can alter a persons state of being by quieting his body and allowing him to enter the spiritual recesses of his mind. So what kind of music should we listen too? I love music that lifts my soul higher. Music that is full of positive messages. 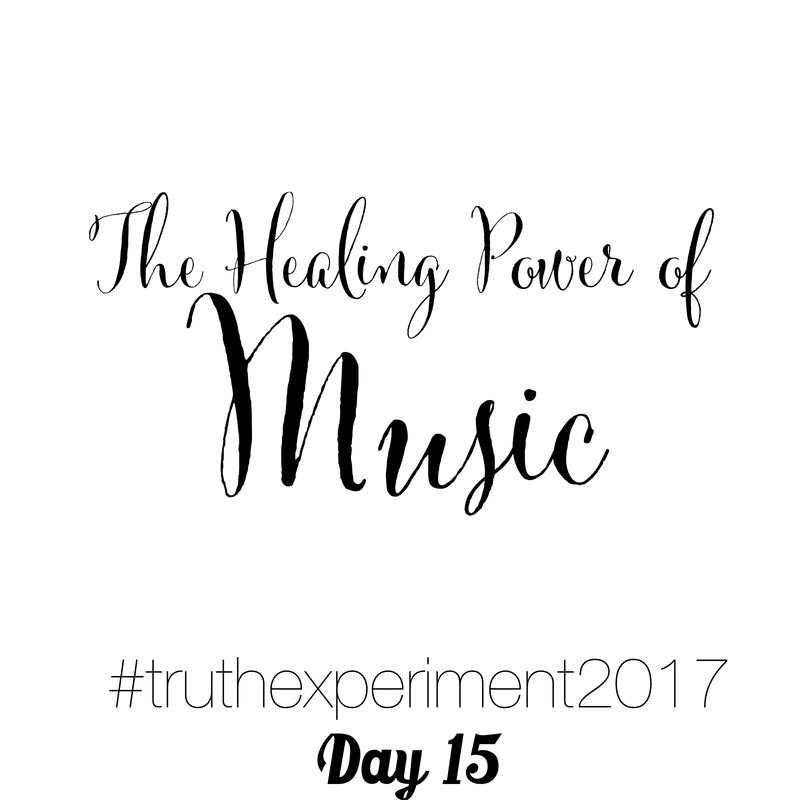 Music has helped me so much through all of this healing I have been trying to do. It has brought me closer to God and brought me hope when I have felt hopeless. Whatever it is that you might be struggling with in life, I believe that prayer, scriptures, and uplifting MUSIC go hand in hand for making our body and spirit WHOLE. Here is some of my favorite uplifting songs that will make you happy, help you feel God’s light and love for you. I hope you enjoy! So if you caught part one, you learned about the healing power of music— that it literally has the power to heal the wounded soul. I was sitting at my kitchen table yesterday morning, trying to decide which songs to share with you. As I listened to some of these songs it was like basking in the glow of the Savior. I couldn’t help but think about my Heavenly Father and the fact that he has given these people incredible divine gifts and talents. I felt so grateful that they were sharing these gifts with the world. Because of their bravery and willingness to share, I can feel closer to the Savior. All of a sudden, I felt an urgency to sit down and write a song. This was foreign to me… I have written songs before, but not since I was a teenage girl with a guitar. So I grabbed a piece of paper and pen, and started to write down what came into my heart and mind. 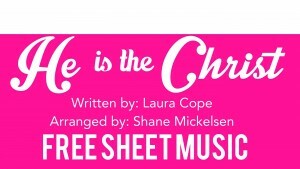 My song is about the Savior. About our struggle through this life, how we feel helpless— sometimes until the very last moment when he becomes the rock that we can stand on. 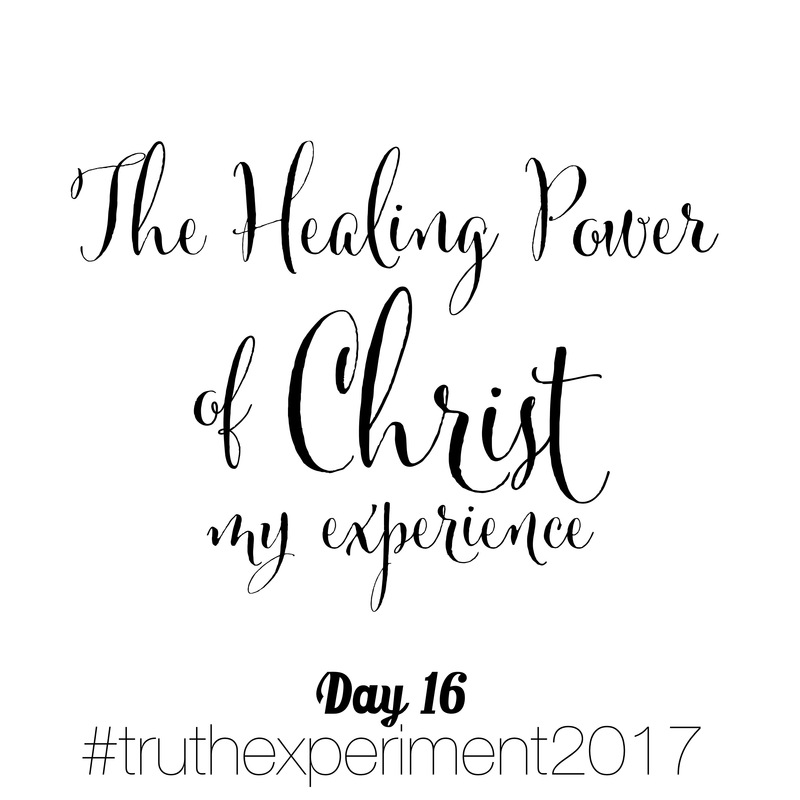 The words just flowed out of me… I felt so moved upon by the spirit that I could hardly keep myself from sobbing. I sat there at my kitchen table sobbing, then writing, sobbing some more, blowing my nose (because wow, that was making it hard to sing! Ha!) I didn’t know why, and I have never considered myself a talented song writer… but with God’s help, my song came to fruition. In one hour, I had written the song from start to finish. I felt blessed and overwhelmed by God’s love. Being able to express my love for my Savior through song felt so purifying— so strengthening. I could hardly believe what had just happened to me. So I shared my recorded song with my best friend (during my recording you can hear my baby who was climbing all over me at the time ) She has been my friend since kindergarten and seen me grow all the way up— through all of the awkward stages— and loved me anyway! So I knew that she wouldn’t judge me, she would just love me good or bad. My song made her cry too. 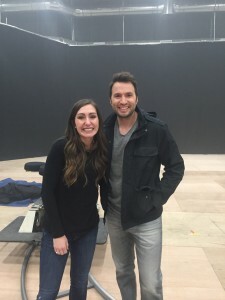 This is my very friend who had told you about in my previous Truth Experiment post— the one that told me to use the healing power of music to help me through this injury that I suffering from. 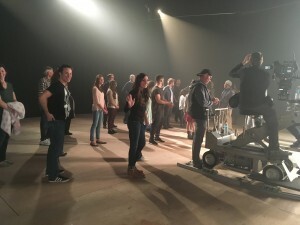 Later that evening, I was asked to be an extra in a music video for Nathan Pacheco. If you don’t know who he is, look him up. He has an absolutely glorious voice! It took quite a bit of juggling to figure out kids and babysitting, normally I would’ve given up after all the dead ends trying to find someone to watch my kids— but I could feel the spirit driving me on. The following day, it was finally time. I headed out to the set of the music video. My pelvis (which is nearly fractured in two places) had been hurting all day long. I’m not going to lie— it is incredibly discouraging. The doctor has ordered for me to rest as much as possible– and as a mother of four little kids and an incredibly busy husband that can’t often be around to help, resting feels quite litereally IMPOSSIBLE. Struggling with all of this has been really really HEAVY. I have never felt so helpless…. I have never felt like I have needed my Savior more than I do now. 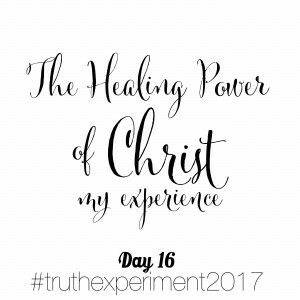 This Truth Experiment 2017 has been just the thing that I needed to feel his love and stay close to him. The ONLY way I can get through all of this…. They gathered all of the extras together, we were going to be the choir that sang with Nathan at the end of the song. We began with a beautiful prayer, and the Holy Spirit (or Holy Ghost) filled the room. There were about 30 of us total including crew and everything. There was no down in my mind, we were doing God’s will. He was with us, because we were there to spread His message— the message of our dear Savior. I didn’t know these people, none of them. But you could so much love in the room. “One night 5 months ago, my wife went into labor— the crazy thing about it was that the baby was coming 5 weeks early. We were surprised and worried. As the baby was born, all of the his stats started to drop. The doctors and nurses started to poke and prod, putting tubes in, needles everywhere including his head. I watched feeling so upset that they were doing this to my baby. But I believe that when babies are born, they bring with them, a little piece of HEAVEN. As I worried and watched and waited, I was listening with my headphones to this song (the song we were about to shoot the music video for). As I listened, I was overcome with PEACE. I knew that Jesus Christ had paid the price for all. Somehow, I knew that everything would be ok.
My eyes began to water… I felt his words, I knew that they were true. And boy, have I had my share of struggles, especially lately. As we sang this over and over, my heart may have nearly exploded. What an incredible experience. It was a witness to me of the reality of the atonement of Jesus Christ. And for that window for, even with a lot of hours on my feet— I wasn’t in pain. God is working on me every day— I am thankful for these experiences that were handpicked to teach me of the reality of Christ’s atoning sacrifice and His infinite love. I know that the Lamb of God, Jesus Christ has overcome ALL things . And His love for you is perfect. So lay all of your struggles on the alter for Him. Please listen to the healing power of this music. 2. 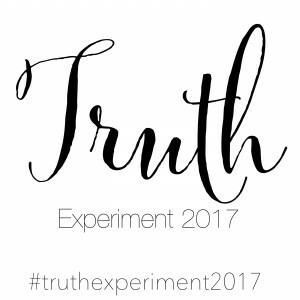 I would rather have quality than quantity posts for my truth experiment 2017. 3. I have LOVED sharing my studies with you! I don’t share everything, but I hope somehow it helps someone out there. 4. Truthfully, this whole project is mostly for my benefit and for the benefit of my children to have my words someday— but I LOVE the fact that I can strengthen others along the way! 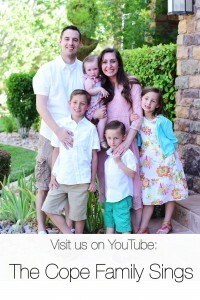 God, Husband, Kids, Family —> and everything else I do is to enrich these four things. Everything I say yes to, everything I choose to do with my time requires a CONSTANT readjustment. 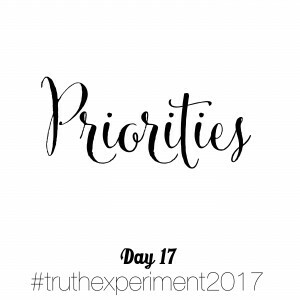 In fact, as I’ve been doing these truth experiments— all of these priorities of mine have been flourishing and it has been amazing! The only problem is, I need to spend quality time with my hubby at night for the tiny window we have instead of writing a daily truth experiment Soooo, I am just going to cut back a bit. One to two per week is the magic number I think. 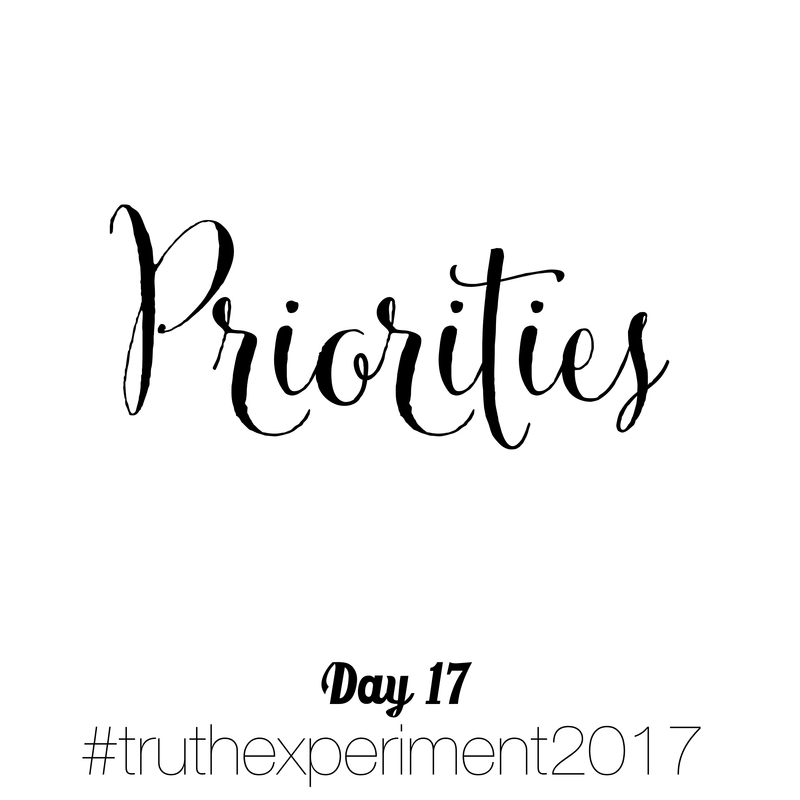 Then I can always make sure to be sharing quality truth experiments instead of quantity. 1. What are the BEST things in your life that you want to give your time and attention? 2. What things distract you from the most important things? 3.What thing(s) can you drop out of your life to better choose the BEST things for your time? When there are infinite possibilities for our time, it is crucial that we revisit this often. This world is FULL of distraction!!! Here are some numbers for reference from a talk by Lynne G. Robbins entitled “Simplicity”. You can the full talk on simplicity HERE. “Never in the history of the world have the children of God been faced with so many options that compete for our time, attention, and other resources. Options seem endless. As of Aug. 2014 there were over 253 million products for sale on Amazon categorized into 35 departments. There are nearly 5 million items in the clothing department alone. Here are some additional statistics to think about, as you ponder the complexities of life. There are over 26 million songs to choose from on iTunes. There are over 900 cable channels available with the average American receiving 189. As of July 2015 there are over 1.5 million apps available at the apple store, and more than that at Google Play. The average Facebook user now has 338 friends spending an average of 40 minutes each day on Facebook. Add other social media to that and time spent rises to about an hour and 45 minutes each day. So what are YOU going to change now? I wanted to reiterate again, how crucial it is for everyone to pray to know of the truthfulness of these things that I share. Don’t take my word for it. God is the ULTIMATE SOURCE ALL TRUTH. He is aware of you, He knows you personally. Pay attention to how the following message and videos make you feel. The peace you feel comes directly from God through the Holy Ghost. In order for you to discover YOUR MISSION on this earth, you have to understand where you came from,why you are here, and where you are going. Where do we go after I die? Knowing the answers to these questions, and understanding where you personally fit in God’s Plan WILL bring you the greatest possible joy you can EVER imagine. And because of this knowledge you will further be able to understand what an important role you play. 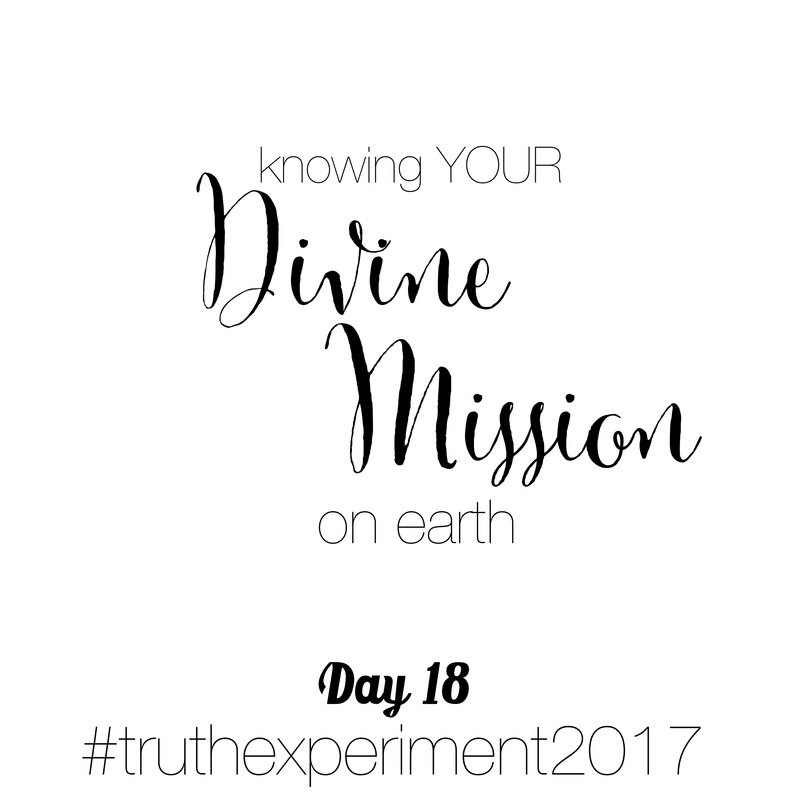 YOU HAVE A DIVINE MISSION ON THIS EARTH. Each of us have a divine mission to perform on this earth. Including our Savior Jesus Christ whose mission can be summed up in this scripture. Jesus Christ is at the center of God’s plan for us. He loves us so much that He gave his only begotten son as a sacrifice. Jesus Christ was willing to sacrifice himself for us, so that we could return and live with our loving Father in Heaven. “WE ARE ALL EQUAL BEFORE GOD. WE ALL RECEIVE THE LOVE OF GOD. YOU ARE PRECIOUS BEYOND PRICE. I know that the spirit of Christ is given to every person on this earth. Since we all have it, we can know when we read truth. This is divine truth and comes from God. Everyone who reads those sentences above, feels the peace that only God can bring. Your “divine mission” is whatever you are meant to do on this earth. Each of us has a different divine mission and that is why it is CRUCIAL that we do not compare ourselves to others, but that we look up and ask God, “What is it that you want me to do?” Then, after you pray, LISTEN. She then challenged me to change my prayers as well. I am praying to know how my trials will be stepping stones toward my life mission. Each mission is distinct and different. It is up to each of us to FOCUS and figure it out. 1. Pray and Listen– as I talked about above. 2. Remember– Recite those phrases above to yourself DAILY. In order for you to find your divine mission and potential, you have to know WHO YOU ARE. You are God’s child! that you can fulfill your life mission? Every woman (and man) here was commissioned to do something, and probably many “somethings,” for the Lord. I believe that missionary work is a huge part of my divine mission in this life. Hence, a big reason for why this truth experiment was born.— I would love your help. If someone comes to mind that would benefit from this project, or from a particular subject within the project, Please share it with them. 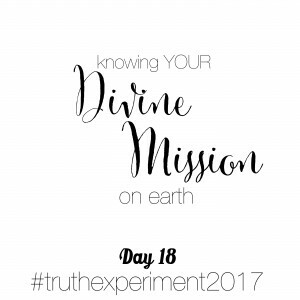 I can’t wait to hear about your divine mission. Discover your divine mission, let’s cheer each other on and remember that we are ALL on the SAME TEAM if we are rooting for CHRIST! 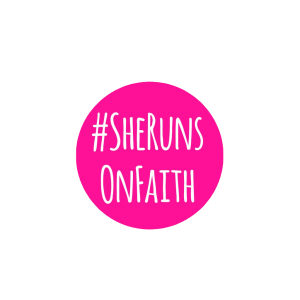 Stand up, dust yourself off, “Looking unto Jesus the author and finisher of our faith; who for the joy that was set before him endured the cross” for each of us. Until we return to Him and hear Him say, “Well done thou good and faithful servant.” You have completed your mission on the earth.